Charles Landry and Jonathan Hyams have developed the Creative City Index. This strategic tool assesses and measures the imaginative pulse of cities. This website allows respondents in the survey to login and complete the questionnaire. 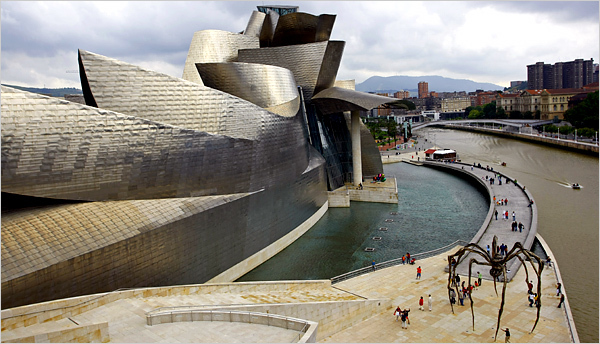 Conceived with the Basque Country region of Biscay and its core city Bilbao, the Creative City Index uses three elements - an internal assessement, an external assessment, and a web based survey. Want to do the rapid survey now? Want to sign up for the full survey? To take part in the full survey you will need to register to set up an account and password. You can continue to complete the survey now or come back to do it another time. I want to participate in this survey. In accordance with the data protection rules, I agree that my e-mail address and personal information may be stored until the Creative City Index survey in Mannheim is completed (estimated 22 December 2014). I am happy to receive details of the results by and I understand that I can use my email address to log in to comments on the results (until January 31, 2015). After that my data will be deleted but until I understand that my answers could be associated with my e-mail address.